Doomsday. The apocalypse. End times. Judgment Day. Every culture has its own eschatology; its own vision of the end of the world. 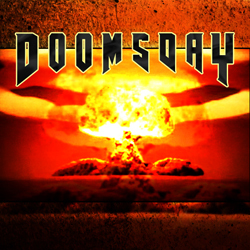 Doomsday is a compilation project to assemble tracks themed around this cataclysmic concept – noise, dark ambient, abstract sounds that reflect upon, relish in, admonish against or in some way celebrate your vision of eschatology. When the day of reckoning is upon us, let it not be said that we were ill-prepared to provide its soundtrack.